Promoted by Mayweather Promotions and TGB Promotions, venue pre-sale tickets will go on-sale Thursday, April 14 at 10 a.m. PT. Tickets for the general public will go on-sale Friday, April 15 at 10 a.m. PT. Ticket prices start at $39, and are available online at www.cosmopolitanlasvegas.com or through Ticketmaster at (800) 745-3000 and www.ticketmaster.com. Doors to The Chelsea will open at 3 p.m. PT with SHOWTIME CHAMPIONSHIP BOXING action beginning at 9 p.m. ET / 6 p.m. PT. The versatile yet intimate space inside The Chelsea will create an unparalleled experience for viewers and boxing fans alike. The 32-year-old Lara is a slick boxer with the ability to deliver punishment while taking very little of it in return. Lara has notched victories over Alfredo Angulo, Austin Trout, Ishe Smith and Freddy Hernandez. 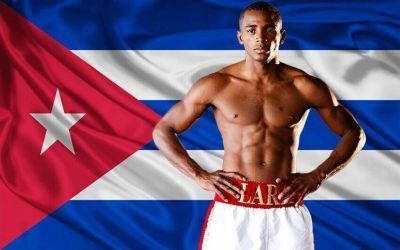 As an amateur, Lara won numerous titles including a national championship at welterweight, and also participated in the 2007 Pan-Am games. The fighter originally from Guantanamo, Cuba dominated Delvin Rodriguez in June of last year and followed that up with a third-round stoppage of former champion Jan Zaveck. In 2004, Trout won the U.S. National Amateur welterweight championship and after climbing up the ranks as an elite pro boxer, he won a super welterweight world championship in 2011 by defeating Rigoberto Alvarez. He went on to make four successful defenses, including a career-best dominant victory over Miguel Cotto in New York. He is currently on a four-fight win streak after knocking out Joey Hernandez in September to set up his world title opportunity. Since representing his native Virgin Islands in the 2008 Olympics, Jackson has put together an impressive pro career. The St. Thomas-born fighter won his initial 13 fights after making his debut in January 2009. The 27-year-old earned the No. 1 spot and the title shot with a shut-out victory over Dennis Laurente in August. Jackson comes from a fighting family; his father Julian Jackson was a world champion and feared power-puncher while his brother, Julius, is a contender in the 168-pound weight class.